Developing strategies to deliver the required dose of therapeutics into target tissues and cell populations within the body is a principal aim of controlled release and drug delivery. Specifically, there is an interest in developing formulations that can achieve drug concentrations within the therapeutic window, for extended periods of time, with tunable release profiles, and with minimal complication and distress for the patient. To date, drug delivery systems have been developed to serve as depots, triggers, and carriers for therapeutics including small molecules, biologics, and cell-based therapies. Notably, the efficacy of these systems is intricately tied to the manner in which they are administered. For example, systemic and oral routes of administration are common, but both can result in rapid clearance from the organism. Towards this end, what formulation and administration route strategies are available to prolong the bioavailability of therapeutics? Here, we discuss historical and modern drug delivery systems, with the intention of exploring how properties including formulation, administration route and chemical structure influence the ability to achieve extended-release drug release profiles within the body. We would like to congratulate Professor Mauro Ferrari on the occasion of his 60th birthday for his impactful scientific career and his contributions to the field of bioengineering. Some of us were fortunate enough to have the opportunity to attend a lecture he gave at MIT in February 2018. Professor Ferrari’s talk was creative and exciting, and his approach to science, management, and culture was truly inspiring. Congratulations Professor Ferrari and we wish you the happiest of birthdays. E.A. Appel et al., ‘Self-assembled hydrogels utilizing polymer-nanoparticle interactions’, Nat. Commun. Nature Publishing Group, 6, pp. 1–9 (2015). doi: https://doi.org/10.1038/ncomms7295. C. Buttorff, T. Ruder, M. Bauman, Multiple Chronic Conditions in the United States. (2017). doi: https://doi.org/10.7249/TL221. M. Germain et al., ‘Priming the body to receive the therapeutic agent to redefine treatment benefit/risk profile’, Sci. Rep., 8(1) (2018). doi: https://doi.org/10.1038/s41598-018-23140-9. 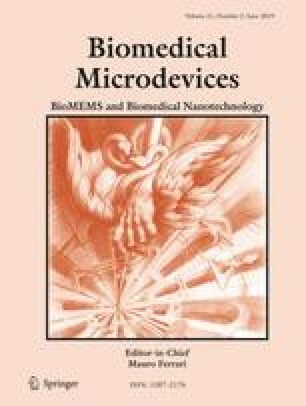 B. Jeong, A. Gutowska, ‘Lessons from nature: Stimuli-responsive polymers and their biomedical applications’, Trends Biotechnol., pp. 305–311 (2002). doi: https://doi.org/10.1016/S0167-7799(02)01962-5,20.